It seems this album has an interesting history. This band was specifically commissioned to write music to test high end stereo equipment... Before I even read anything about this band, I was pretty amazed at how crystal clear this music was. In fact, almost *too* crystal clear. But that's certainly a quality about this music that might intrigue you. The sounds are utterly flawless, and you can hear everything perfectly. Calling this stereo demo music doesn't do it justice, though. This is actually enormously well-written music. Plus, this crystal-clear instrumentation doesn't do anything else than give it class. Yeah, that was very '80s, but at least that's one decent thing that came out of the decade in music. Well, I must say this music is enormously intriguing, but it's definitely not for the impatient. I specifically remember trying to listen to this awhile back and getting bored pretty quickly --- I was hoping for something as instantly likable as "Let's Dance" or something. The principle "problem" with this music is that it's all very slowly paced. They're much more interested in creating atmospheres --- and they do that pretty well. But even these "atmospheres" aren't that intriguing when you compare them to stuff like Peter Gabriel who was creating exotic synthscapes at the time. These are absolutely minimal atmospheric tracks --- they don't spend any time making instrumentals that won't be heard with these state-of-the-art stereos. There is not a single wasted note or instrumental sound anywhere apart from some minor atmospheric notes you hear very lightly... You'd almost wish for some excess somewhere, but I guess why do it when you don't need it? That's their mentality. As minimal atmospheric music, this is remarkably effective. A few of these songs are even very beautiful! Don't need to look much further than "Heatwave" to prove my point. It doesn't just feature beautiful instrumentation (and slightly lusher than most of their other songs --- though *slightly* is the key word to keep in mind), but its melody is utterly engaging. It helps that lead singer Paul Buchanan has one of those engaging voices. Despite that, the personal favorite of mine is always going to be "Tinseltown in the Rain." Chances are, even if you're not a big fan of the rest of these songs, you'll appreciate that one. It's a fast paced song with a catchy melody and snappy instrumentation --- that's crystal clear New Romantic music, the way it seems like it was designed to be heard. The album opener "Walk Across the Rooftops" appropriately sets the tone for the album, and I seemed to have a lot of words to say about it in the track reviews. It's detached and artsy --- but still pretty engaging if you're the right listener. OK, they go too far even for me with the monotonous "Easter Parade," but even that one has undeniable class and atmosphere. It's hard for me to have any negative words to say about The Blue Nile and their debut album, because it all sounds so deliberate. As far as I'm concerned, they succeeded in their set task enormously well. 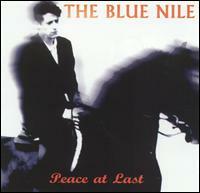 The Blue Nile were famous (or perhaps notorious) for taking forever to come up with new albums. The five-year gap between Hats and their debut album A Walk Across the Rooftops was by far the shortest period of time in between their albums. Of course, they didn't spend all that free time coming up with new material! The legend, though, is they had written a lot of material for Hats though much of it was never heard. The resultant album, though, is quite an experience. Their minimalistic tendencies from A Walk Across the Rooftops was abandon in favor of more lush and atmospheric soundscapes. These songs aren't as compositionally interesting as the previous work, and they're being quite a bit more mainstream. 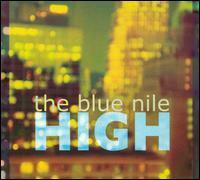 The Blue Nile are now coming off as a tasteful pop band instead of detached art-popsters from their previous work. It's no wonder that most audiences prefer Hats. Well I'm going to be a naysayer and cast myself in the minority opinion, but I miss their work from A Walk Across the Rooftops greatly! Those songs were modest, interesting and with much better instrumental ideas. If that doesn't convince you enough, at least the previous album had the ultimate New Romantic song, "Tinseltown in the Rain," that everybody who likes '80s music should hear at least once. In Hats, the songs are considerably more boring and monotonous, and the songwriting has less artistic merit (as I define it)! Before you send me e-mails accusing me of bashing this album, I'll have you know that I enjoy Hats, and I don't want to suggest that I think it's a bad album. I think it's quite good, and a notable experience in its own right. I merely consider it a bit of a disappointment after their debut album! Their purpose with this album was to create engaging and atmospheric songs. They succeeded in their quest for the most part. The best song, in my opinion, is the first one. "Over the Hillside" is atmospheric and quite gorgeous. The melody is memorable and I like the orchestral qualities of it. It's enormously well-arranged, and there's quite a few nice ideas there. The second track, "Downtown Lights," isn't so memorable, but that one's so well orchestrated with intriguing textures that you might enjoy emptying your mind spacing out in front of that thing every once in awhile. The third track is even more spacey and slow, "Let's Go Out Tonight," with some of the most enchanting synthscapes these guys were ever responsible for. After that point, the album doesn't interest me as much. "Headlights on Parade" has a more involved rhythm section so you think it should be more enjoyable, but it isn't really. The constant rhythm and the not-so-wonderful orchestration serves to make it sound more monotonous than enchanting. The follow-up is shorter but even more boring "From a Late Night Train." Of course they nail the atmosphere with that one and it's quite unique, but that doesn't really excuse the fact that it's a snoozer. "Seven A.M." is alright though nothing to write home about. The world-music leanings on that one make it seem like a lesser version of Peter Gabriel albeit a more minimalistic version of him, and that certainly would have some value! Fortunately, they give the album a nice song to go out on. It's nothing quite like the first three tracks, but it's a remarkably solid composition with Buchanan's most passionate vocal performance. 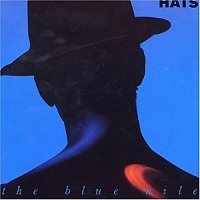 So, Hats is a pretty good album, and I recommend it to anyone who like sophisticated '80s pop music. I'd suggest that you begin your collection with their debut album, but I'm sure more listeners would tell you to start with Hats. Another year another album....... Er, another SEVEN years another album. Geez, these guys sure like to bide their time. That's very difficult for their fans to take, but I will say that I strongly prefer this practice instead of releasing many albums full of mediocre material. If only Elton John would have taken that advice! Anyway, all the time The Blue Nile took to produce this album clearly was time very well spent. 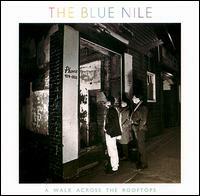 Why do I so often read that The Blue Nile took a step back with this release? This is just as well produced as Hats, and it's sure a heck of a lot more interesting. The main difference is this isn't such a synthesizer-led album. There definitely are synthesizer sounds here, but the acoustic guitar is now central. Their inspired sense of song arrangements, however, have never been stronger. There are so many wonderful compositions here with some the finest instrumentals I've ever heard. These guys seal their reputation as audiophile gurus. "Body and Soul" is really the best of the best in those regards. They begin it with a rather simple groove, but they continue to pack on the instrument sounds. Meanwhile, Paul Buchanan's vocals become even more passionate! Speaking of Buchanan, he's really taking the opportunity to fully reveal what a great singer he is. Not that he didn't give good vocal performances previously, but it's not until now that I have noticed so starkly. I like the soothing, deep tone of his voice when in the more mellow compositions, but he's also turning in some remarkably boisterous performances. The main disappointment of the album, "Holy Love," is redeemed because he gives such a convincing impression of Prince. The towering achievement of this album is undoubtedly "Family Life." That's one of their mellow pieces, and --- well --- it proves that was their true strength to begin with. The instrumentals don't sound so much impressive but subtle and gorgeous. That's such a beautiful song. It's worth pointing out that The Blue Nile weren't universally writing great melodies, which is an aspect that would have served them very well on this album. This is an enormously well-done work even without it, but that's the one aspect that's keeping Peace at Last from achieving an even higher rating. Certainly, these guys weren't about the melodies but the instrumentation, but there was no particularly good reason why that had to be the status quo. A side effect to listening to The Blue Nile albums is they can be too boring and overbearing to many audiences. I think that�s more prevalent in High more than any of their previous albums. Especially by the end of the album, it starts seeming like all the songs were the same� and it doesn�t help that the already-mentioned �Soul Boy� doesn�t do anything new and �Everybody Else� doesn�t have the world�s catchiest melody. I do like the very last song, the sweeping, seven minute �Stay Close� could very well have appeared on Hats. Despite the length, it is very easy to get caught up in it especially if you concentrate on Buchanan�s soulful vocals. The undisputed (in my universe) highlight of the album must be �She Saw the World.� That�s something of a rarity in The Blue Nile�s catalogue� it still has a melancholic melody and atmosphere except it has a somewhat danceable rhythm! Plus, its catchy melody and inspired orchestration makes it irresistible to me!